Ethx.co is a secure cryptocurrency wallet and exchange, which offers you a convenient way to store, buy and sell cryptocurrencies. 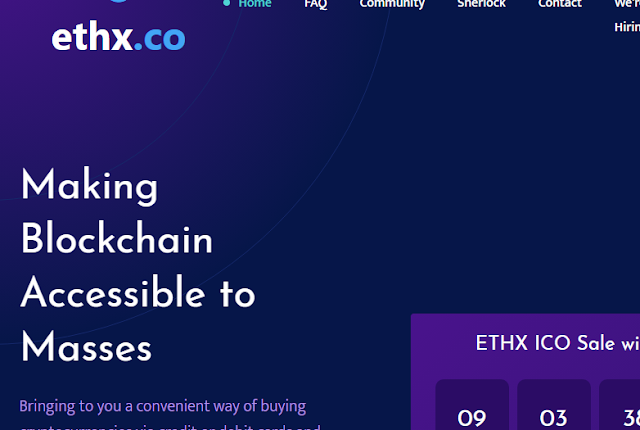 Initially, only wallet functionality was available on ethx.co, the global cryptocurrency exchange was launched on 1st of August 2018. Ethx coin is purely a utility token. It does not represent or guarantee any physical or digital security in any form. Ethx coins are Ethereum based tokens following ERC20 protocol. These are not mineable coins. The cost of 1 ethx coin is 0.0005 ETH. Which means for 1 ETH you can get 2000 ethx coins. They're working on adding more cryptocurrencies on the platform. You can request new features or new coins by putting up a post on their forums. Post the distribution of ETHX coins on 30th of July 2018, you would be able to pay your fee with ethx coins for any cryptocurrency withdrawal. Due to the level of security and encryption they operate your cryptocurrency is supposed to be completely safe with them. They deploy multiple levels of encrytion and security ranging from infrastructure level to web-front. However, it is recommended you enable 2-factor authorization from your end by clicking on "Security" from the left menu. To find your unique wallet address for different cryptocurrencies, the steps are as outlined here. Click on "Wallet" from the left menu. Click on Receive for the cryptocurrency for which you want to see the wallet address. A pop-up window will open with the wallet address, click on "Copy" and the address would automatically be copied to your clipboard. Click on "Wallets" from the left menu. Choose which currency you want to transfer to ethx and click on "Receive". This would open up a pop up window with your unique wallet address, click on "Copy" to copy your unique address to your clipboard. Now head over to the other wallet/exchange where you want to carry out the transaction and paste this wallet address. You have to ensure that the address to which you are sending funds matches your ethx address and you are sending the correct currency to the correct wallet address. If done correctly according to this guidelines, the transaction will hit the blockchain, and their system would automatically add the credits to your ethx account. Choose which currency you want to transfer to ethx and click on "Send". A pop-up window would open, enter the wallet address to which you want to send funds and enter the amount. Click "Send". A unique code would be emailed to you, check your email. Enter the code on ethx and click "Confirm". How to secure your ethx account? Ethx deploys industry level security, it is recommended you follow the below mention security measures to keep the account secure from your end. Click on "Security" from the left menu. Download "Google Authenticator" app on your mobile phone and open it. Click on "Enable 2FA". You would now see a QR code. Open authenticator app on your phone and scan the code. Google authenticator app on your phone will now provide you with a unique 6 digit key, enter it on ethx and click confirm. Your account is now secure. Every time you login, you would have to provide the code from google authenticator app. This would ensure that no other user can access your account, even if your password is stolen. ICO is an acronym which mean "Initial Coin Offering," and refers to the creation and sale of digital tokens.In an ICO, a project creates a certain amount of a digital token and sells it to the public, usually in exchange for other cryptocurrencies such as bitcoin or ether. The token has an inherent benefit – it grants the holder access to a service, a say in an outcome or a share in the project's earnings. Ethx has been running a successful cryptocurrency exchange in India and now to expand globally they are launching a utility based token called ethx coin [ETHX]. A total of 100 million ethx coins would be created. Every quarter(starting Q2), ethx would use 25% of its profits to buy back and destroy the tokens till the time 50%(50 MM) of the tokens are bought back. The softcap for this ICO is 1,000 ETH and hardcap is 20,000 ETH. Ethx Pre-ICO sale was from 1st July 2018 to 7th July 2018. What can one do with the ethx coin? To pay trade fee on ethx platform. To pay withdrawal fee on ethx platform. To pay for goods and services using Merchant module. (This was launched on 1st September, 2018). To participate in the ethx ICO Sale, please click on "ICO Sale" from the left menu. Note that the pre-ICO sale has successfully concluded, the main ICO sale is now live. During the Pre-ICO, there was a 20% discount. What is the distribution breakdown for ethx coins? 2% every month post 2nd anniversary for next 20 months. 2% every month post 1 year, for 15 months. Can only be used post third anniversary. To ensure fair economics, smart contracts would be used for deploying the above. Now we come to the interesting part of this article, which is actually my main reason for writing this. 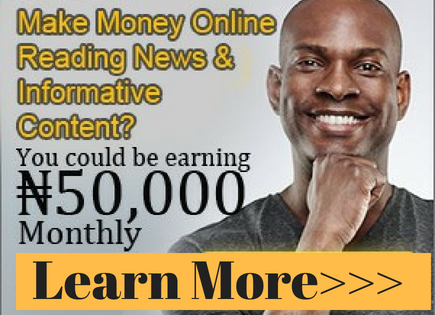 Remember one of my goal for putting up this blog is to share information on anything that will put money in the pocket of my reader. So that said, there are two ways in which you can earn ethx coins for free. By referring users to ethx platform. To refer friends, click this link and sign up first. Once you have an active account by verifying your email address you used to create the account, you can access your unique referral link from your dashboard. To get it clicked on the menu that reads "Share the love" and you'll see your affiliate link. You can gather as many Ethx coins as possible. Remember 10 Ethx coins is $3 at the time of writing this, meaning any friend that signs up with your links will get you $3 instantly. 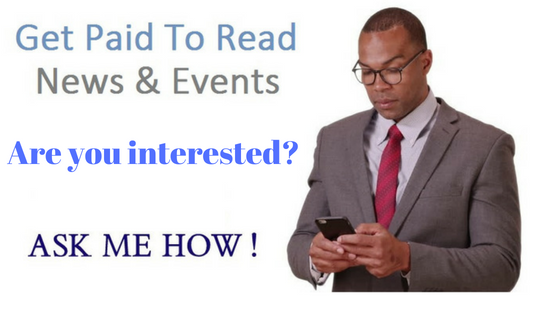 The more people you can refer, the more money you make. So, sign up right away and start gathering those coins.